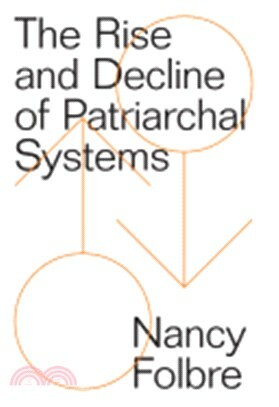 In this groundbreaking new work, Nancy Folbre builds on a critique and reformulation of Marxian political economy, drawing on a larger body of scientific research, including neoclassical economics, sociology, psychology, and evolutionary biology, to answer the defining question of feminist political economy: why is gender inequality so pervasive? In part, because of the contradictory effects of capitalist development: on the one hand, rapid technological change has improved living standards and increased the scope for individual choice for women; on the other, increased inequality and the weakening of families and communities have reconfigured gender inequalities, leaving caregivers particularly vulnerable. The Rise and Decline of Patriarchal Systems examines why care work is generally unrewarded in a market economy, calling attention to the non-market processes of childbearing, childrearing and the care of other dependents, the inheritance of assets, and the use of force and violence to appropriate both physical and human resources. Exploring intersecting inequalities based on class, gender, age, race/ethnicity, and citizenship, and their implications for political coalitions, it sets a new feminist agenda for the twenty-first century. Nancy Folbre is Director of the Program on Gender and Care Work at the Political Economy Research Institute at the University of Massachusetts Amherst and a Senior Fellow of the Levy Economics Institute at Bard College. Her research explores the interface between political economy and feminist theory, with a particular emphasis on the value of unpaid care work. She is the author of numerous books, including The Invisible Heart: Economics and Family Values, Family Time: The Social Organization of Care, Greed, Lust, and Gender: A History of Economic Ideas, and Valuing Children: Rethinking the Economics of the Family. She is recipient of a MacArthur Fellowship. She has been an Associate Editor of the journal Feminist Economics since 1995, and she is also a member of the editorial board of the Journal of Women, Politics & Policy. She has also written for many outlets, including the New York Times, The Nation, The Boston Review, and the American Prospect.